Raw honey - ah, how sweet it is! Use it to sweeten a cup of tea, to bake sweet treats, or to enhance the nutty flavour of a pecan pie - it's pretty versatile. Honey is also a natural humectant, which means it's a fantastic moisturiser, and it also has antibacterial properties that can help you spot-treat acne. The honey and cinnamon face mask recipe I'm about to share with you is amazing. It will brighten your complexion, soothe any irritations, and clear up acne. Please just note that cinnamon can irritate very sensitive skin, so do a patch test before applying the mask to your entire face if your skin is sensitive. Enjoy 13 anti-aging wonders in ONE. 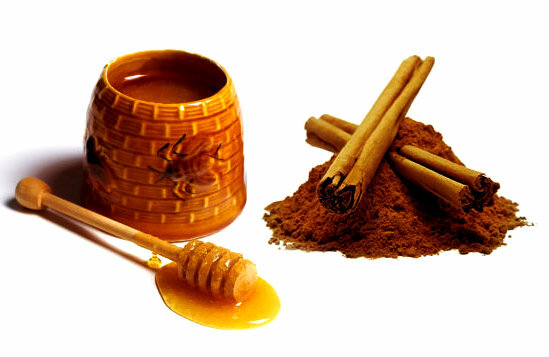 Mix the honey and cinnamon together in a small bowl. Apply the mixture to your face and leave it on for 20 to 30 minutes. Rinse your face with warm water and finish off with your daily moisturiser.